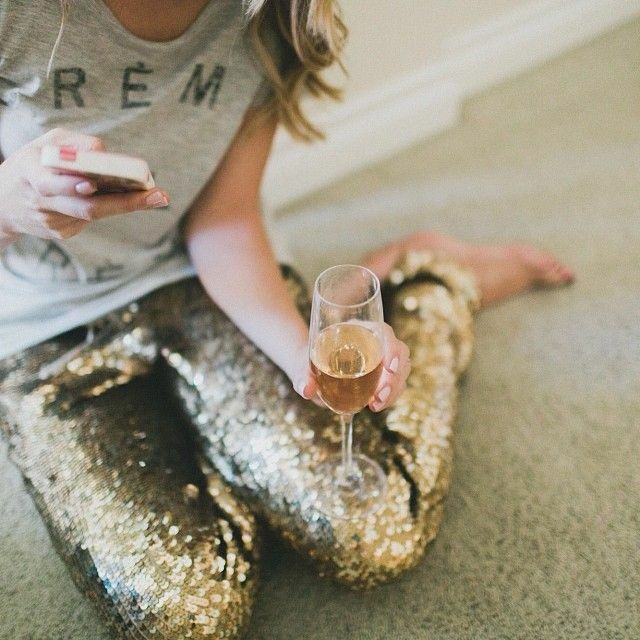 Sequins for Every Outfit this New Years! Keeping it casual this year? Fear not, there are sequins for you! This slouchy top looks great with denim and can be worn for tons of other girls nights and fun dinners throughout the year. Similar Style On Sale At NastyGal.com! A great jacket can get you a lot of places in life. Whenever I feel like my outfit is too casual, or boring, adding a third piece (i.e. a jacket, blazer, scarf, kimono, etc.) always makes it better. Sequin jackets aren't just for your grandmother anymore. They come in cute cuts and can spice up a t-shirt and jeans real quick. Similar Style Available At Buckle! Sequin pants or leggings remind me of a mermaid. They are definitely making a statement, but still can be paired with a tank or t-shirt to keep you comfy and dancing all night. Or sitting on the floor like this girl did... Similar Style Available from 6PM.com! Now we're starting to get into pretty standard New Year's territory. 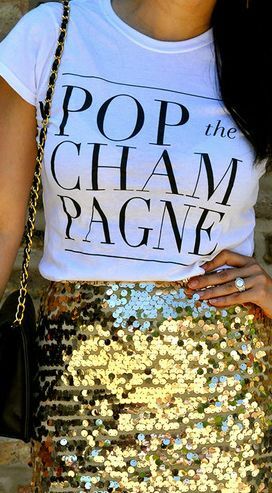 What I love about this outfit, and the over-all trend for this year, is pairing a t-shirt with your sequins. It's been done before, but I feel like this year specifically I'm seeing it everywhere on Pinterest. Plus, this shirt is perfect. Similar Style Available At Urban Outfitters! Perfect for Florida, there little hot shorts are so stinkin' cute. Add some tights though, and they're pretty winter friendly too. Similar Style Available At Forever21.com! Feel like making a statement? Here's your in. I first saw this image just over a year ago and think that if I ever have anywhere truly amazing to go for New Year's, I'm definitely wearing this skirt... with a t-shirt of course :) Similar Style Available At NastyGal.com!